And for me that's sweets. In lieu of having my pancreas cease to function properly, I've made a little-less-guilt-inducing cake. 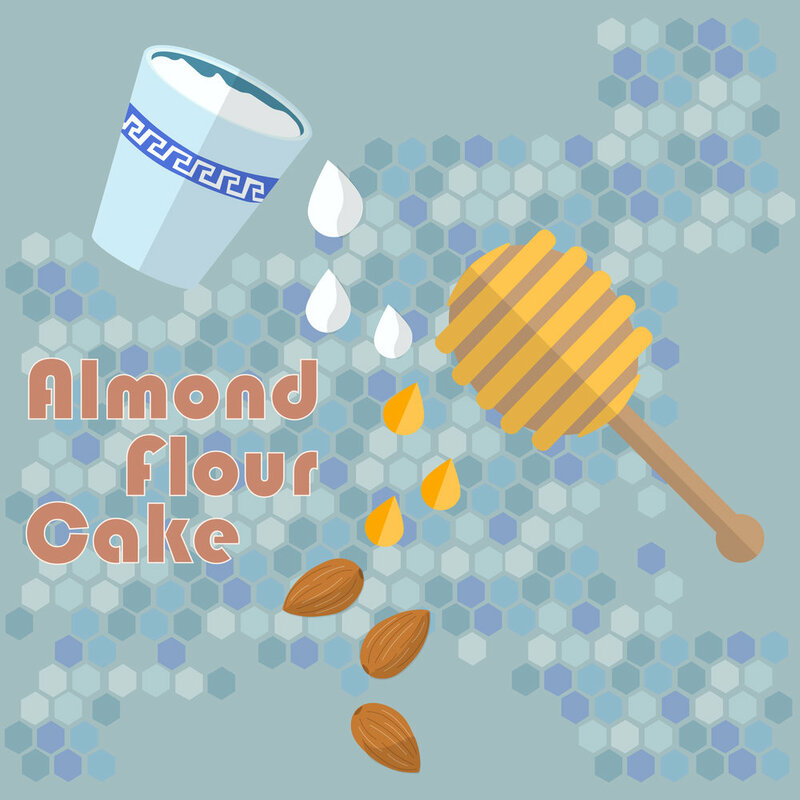 This almond flour cake uses yogurt & honey for some good fats, a little protein, and not-as-bad sugars. To top it off I put loads of mixed berries to almost let this cake pass as healthy. Also, for those non-honey lovers, I've included the agave::sugar::honey::maple syrup ratios to match your kitchen. For every 1/2 to 2/3 cup of honey = 1 cup of sugar. Also, raise the temperature by 25°F, because honey cooks faster than sugar. For every 1 cup honey = 3/4 cup maple syrup. Leave the temperature at 350°F, because maple syrup and honey cook at similar rates, the varying temperature is negligible. For every 1 cup honey = 1 cup agave sryup. Leave the temperature at 350°F, because maple syrup and honey cook at similar rates, the varying temperature is negligible.